Brian McKeever became the most decorated Winter Paralympian in Canadian history after winning Gold in the x-country event for the visually impaired. "The 38-year-old of Canmore, Alta., raced to his third straight Paralympic title in the men's cross-country 20-kilometre visually impaired freestyle event in a time of 46 minutes 02.4 seconds alongside his guide Graham Nishikawa. It was also McKeever's 11th Paralympic gold medal." As of Saturday, Canada has won 5 medals at the Paralympic games. Well done all. Amazing. Talent, and a lot of guts! Durry will be happy if he's white. I congratulate him on his splendid achievement regardless of his skin colour. I cannot imagine having that much trust in his guide. I know it was X-country, but still, you can get moving briskly down some gentle hills. Kudos to everyone, not just the winners! Tell Durry that his ancestors were black ... his and everybody else's. Team Canada will advance to the semi-finals against Team China after defeating Team Finland today. They will be guaranteed at least a bronze medal. Through 4 games, Canada's record is 42 - 0. This is much nicer to read about than the constant political obsessing. Canada's medal count now stands at 19. It is also refreshing and inspiring to see people who have faced down all types of adversity in their lives and not only overcome it but thrived, Murph. You don't see these folks playing the pity me card - too busy striving to do their very best for themselves and their country. That's for sure. When life gives you lemons, make lemonade! Watching the Paralympics should be required viewing, Murph. It just might show the oh-so-offended by every little thing in their lives that there are people with real disabilities who shun the victim card in favor of doing all they can to become the best they can be in spite of the adversity they face. These are Canadians who we should be celebrating every chance we get. IMHO. I agree. Some of the hateful types here could learn something from watching the Paralympics. That's unlikely to happen though. The Canadian wheelchair curlers earned the nickname "The Comeback Kids" after their impressive ability to stage remarkable rallies to win games at the Paralympics. They never quit when falling behind and found ways to victory, mostly by stealing points from their opposition. When it came to the bronze medal game against South Korea in Pyeongchang, The Comeback Kids didn't actually need to come back at all. However, they once again stole their way to victory. Marie Wright, Dennis Thiessen, Ina Forrest and Mark Ideson came out firing, stealing two points in the first end and never looked back on their way to a 5-3 bronze-medal win. "We really played for each other out there. I've never been more proud to wear this maple leaf," Ideson said after the win. In a way the team had to come back one more time — from the devastation of not winning gold. "Bronze is the game nobody wants to play in. You want the gold," Ideson said. "So it's really hard to get up for this game after the disappointment of losing the semifinal." "But we were able to fight. It's special." After the game, the team's families and friends — resplendent in red and white — cheered wildly in the crowd, waving Canadians flags. The curlers wouldn't leave the ice. They waved back at their families with tears in their eyes. It was an outpouring of emotion from all. "We're just all a family," Wright said. "Our families became a family and on the ice we were just like a family. It's going to be hard to go back home." In the process of winning bronze, this team — including alternate Jamie Anseeuw and coach Wayne Kiel — also stole the hearts of fans inside the Gangneung Curling Venue and across Canada. They smiled throughout their games. They laughed with each other and their opposition. They had fun in the heat of competition and supported one another throughout. "It's a great group of curlers. It's so easy. It doesn't matter how you throw we're together all the time," Forrest said. Wright fought back tears after the game and was still smiling. She didn't stop smiling throughout the entire tournament. The 57-year-old making her first appearance at the Paralympics lived out her dream in South Korea — it was a long and difficult journey getting to this point. "It's so amazing. I can't even describe it," she said. "I've never been on a podium in my life." In August 1988, Wright was in a horrific accident on a rural road in Saskatchewan. It left her a paraplegic. Her two youngest daughters as well as her niece and nephew were also in the vehicle. Her youngest daughter was just one at the time and suffered a serious head injury. To make matters worse, two years after the accident Wright's husband left her — the single mother of four daughters had to adjust to life in a wheelchair. But she never gave up and is now a Paralympic medallist. Her two oldest daughters, Kyla and Tara were in the crowd cheering her on throughout the competition. She was thinking about all four of her daughters after the game. "I'm so proud of them. They're my heroes. They make my life worthwhile. I'm so glad they could be here to share this all with me." The team so badly wanted to bring home gold for Canada. After they lost the semifinal to eventual champion China, they had a team meeting, hugged one another and refocused on winning bronze. "We picked each other up. I'm so proud of us all," Ideson said. Today's win was about getting the medal for Canada. Thiessen was part of the team that won it all four years ago — but he says this one means more to him. "It was a very special moment. To go out there and win bronze feels even more exciting for me than Sochi. I never thought I'd be out here today. I played my heart out and that team is my second family." Unfortunately the Paralympic Games probably suffer from viewer exhaustion following so closely after the Winter Olympics. That's unfair because there were any number of superlative athletes and performances in these games. I watched Brian McKeever win his third gold medal of these games in the Men's 10K Classic this morning. That makes him a triple triple Gold Medalist, winning 3 Golds in the last 3 Paralympics and one of Canada's all time great athletes. Canada is coming in at a very respectable 3rd place in medals awarded at these Games. As i said with the Winter Olympics, congrats to all competitors for representing their sport and their country with pride and distinction. 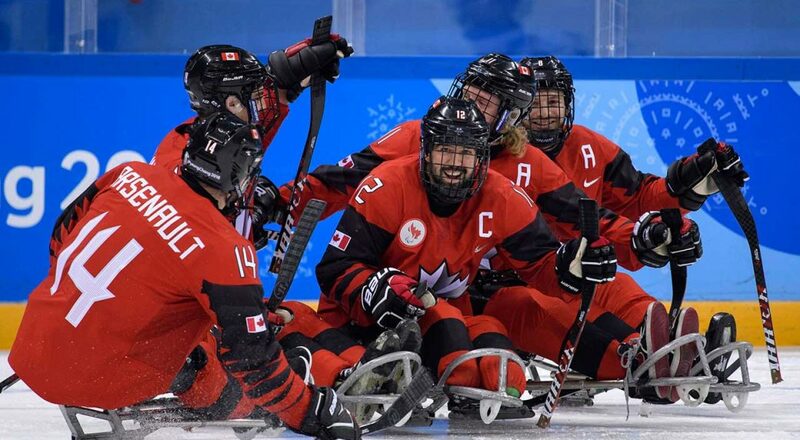 The goal set out by the Canadian Paralympic Committee coming into Pyeongchang, South Korea, was capturing 16 medals based on their calculations of how athletes should perform. Their slogan coming into all of this was "Greatness is Rare". For 10 days in South Korea, Canada's 55 athletes, the largest winter delegation ever, proved greatness was abundant. Team Canada captured 28 medals, second-most at the Games, smashing the country's previous record of 19 at the 2010 Paralympics in Vancouver. There were moments of elation and moments of devastation. There were surprise performances and expected dominant performances. There was the historic display by Prince Edward Island's Mark Arendz, who won a medal in every event he competed in. His gold, two silver and three bronze made him the first Canadian to win six medals at a single Winter Games. For his effort, Arendz led Canada into the closing ceremony, waving the flag proudly and grinning ear-to-ear. But for as much as this was about getting the medals for himself and his country, Arendz wanted it to be more than that. "I want anyone in Canada to look at what we did here and see what is possible," he said. "I hope I can be an inspiration for others to realize you can achieve anything." There was standout performance by 18-year-old Mollie Jepsen from West Vancouver. In her first Games, Jepsen skied her way to four medals for Canada. She was also responsible for claiming the country's first medal of the Paralympics. "I'm really proud to represent Canada," she said. "To have been able to get the first medal is amazing." Opening ceremony flag-bearer, Brian McKeever, became the most decorated Paralympic cross-country skier ever by winning three gold and a bronze. He now has 13 gold medals and 17 total in his career. 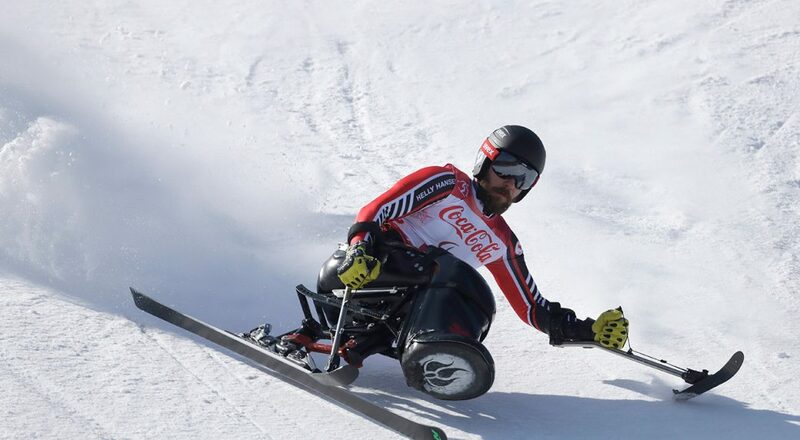 The 38-year-old from Canmore, Alta., raced to a rare "triple treble" — sweeping all three individual men's cross-country events for the third consecutive Winter Paralympics. "It's always an honour to represent Canada, and to do that at the Paralympics is why I have kept going with my career," McKeever said. 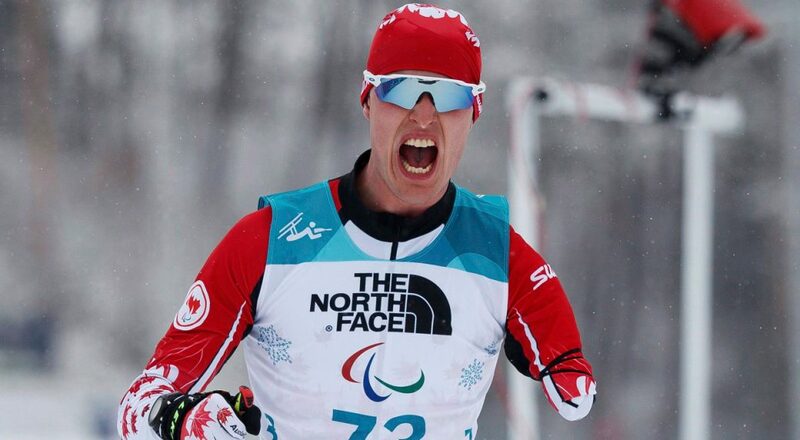 Canada's Para Nordic team skied to 16 medals at the Paralympics. There was heartbreak too for Canada. The para ice hockey team appeared to have gold in their hands when victory was ripped away. With less than a minute left in the game and the U.S. net empty, Canada's Rob Armstrong hit the post. It would have given Canada a 2-0 lead and sealed the win. Instead, the Americans picked up the puck, stormed down the ice and scored with 37 seconds left. Declan Farmer, who scored the tying goal, would also score the golden goal for the Americans in overtime. It sent the United States into a frenzied celebration and the Canadians into stunned disappointment. But after the game veteran Billy Bridges, who was competing in his fifth Paralympics, wanted to talk about how bright the future is for the program. "There is so more that went on here. We showcased the sport. It's unbelievable what these guys can do," he said. It's a perspective Bridges admits he wouldn't be able to have had all those years ago when he first started playing. But all these years later he can appreciate what this team did together and wants it to motivate Canadians. "I really hope we can take what we did here today and know we've inspired people to get into the game. We just tried to do the best we could." Simply outstanding. Well done by all. Congratulations on a fantastic Paralympic games to all our Canadian Paralympians. Elephant Man, Lighthouse Man, The Snake Man, The Spider Sisters, The Pig-faced Lady of Manchester Square- they're all there. Didn't see any of them on the podium, BL. Poor you. Is there enough coverage of the Paralympic games?